Edit, June 2016: Since publishing this post I have left Direct Action Everywhere (DxE). My points about animal personhood still stand. But what do I actually mean when I say “animals are people, not property?” Entire books have been written on this subject, with lots of academic jargon that many find inaccessible. I’m a grad school dropout and have no credentials in philosophy or any other academic subject, so I’ll try to keep it simple. Many seem to confuse “person” with “citizen,” or at least “civilized person” (which, as the article I linked to at the top points out, is a white European conception of personhood). Some people make ridiculous, derailing statements about animal rights activists wanting to grant nonhumans the right to vote or to marry. The legal right to vote or marry does not define whether a human is a person or not. Societies that have these human rights defined must grant them to all regardless of race, gender, or other irrelevant characteristics, but species is not an irrelevant characteristic here. A free-living animal has no use for voting or marriage. These are human concepts useful in a human society. Our votes do affect the lives of nonhuman animals, but this is because we insist on treating them as property, and on displacing “wild” animals from their homes for our own human developments. Justice and equity are the goal of animal rights, not a false “equality” that pretends there’s no difference between a human, dog, pig, fish, or chicken. The most important things all of these animals have in common are the ability to feel and the desire to live, and none of them can consent to be used as the property of another. Until animals are viewed as individual persons, they will never receive justice, no matter how many welfare reforms are put into place to make them more comfortable while they are exploited and killed by humans. A person who is the property of another can never truly be free. I’m well aware that my view is controversial, and outright offensive to many. Women, people of color, and LGBTQIA+ people who have been viewed as sub-human for centuries often do not take kindly to being lumped in with other animals. As a queer black agender trans male, I am a member of several of those oppressed groups, and speak out frequently against sexism, racism, heterosexism, and cissexism. I hope this might convince others that the argument that nonhuman animals are people, too, is not merely a tool of privileged white veganism. I am an animal, and I am a person, and I seek to liberate all animals from property status. I can easily define a person. Sentience. (Some may use sapience to define what I mean.) If they can recognize themself, they are a person. That’s all I require to treat them well. My cats are all rescue cats, even if the one thinks it’s a dog. They are members of my family. As were all my cats and dogs. 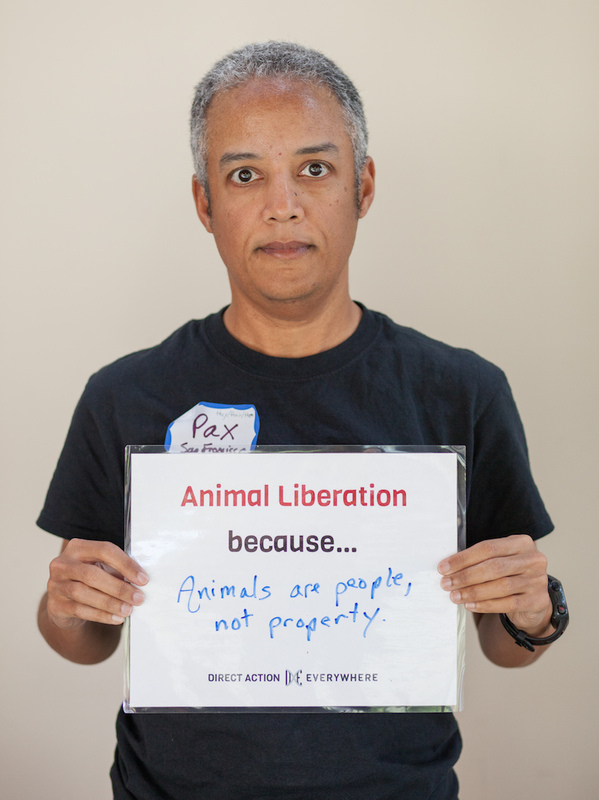 The reason I take offense to animal “liberation” groups is they say I’m harming them by keeping them in my house. Even partial inside/outside cats live 10-20% shorter lives than inside only, and are less healthy. So my question is, what do you think of pets in a case like mine? Not only cats and dogs, but all of the animals we commonly exploit for food, clothing, and other purposes are sentient. Including fish. 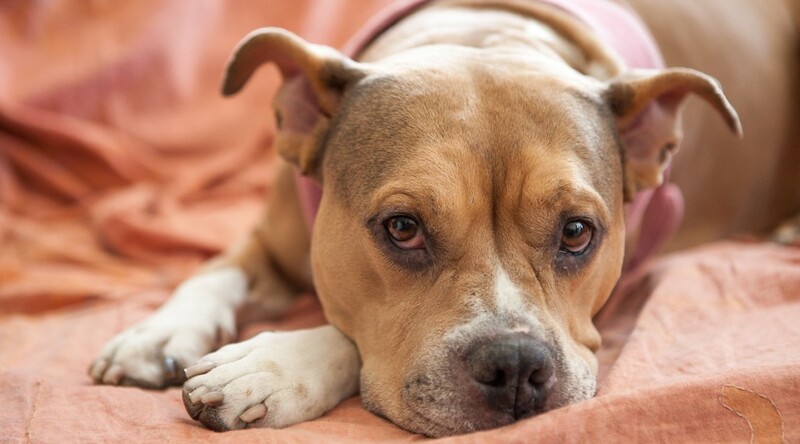 As long as domesticated animals exist, they will need homes, as they are dependent upon humans for survival. I am not opposed to people adopting or fostering nonhuman animals. But I want people to stop breeding them. All content copyright Pax Ahimsa Gethen. Web hosting by pair Networks.